Click here to see the 2019 Piglet! Alice Waters, owner of Chez Panisse Restaurant in Berkeley, California, has championed local, sustainable farms for over four decades. She is also the founder of the Edible Schoolyard at Martin Luther King Middle School in Berkeley, a model public education program that brings children into a new relationship to food with hands-on planting, harvesting, and cooking. Waters is also the author of ten books including 40 Years of Chez Panisse: The Power of Gathering, The Art of Simple Food: Notes and Recipes from a Delicious Revolution, and The Edible Schoolyard: A Universal Idea. I am always so hopeful that young cooks with a lot of passion and talent will write books that help to transform the North American diet in a positive way. That is why I have to admit that I am more than a little disappointed in the two finalists for this year's Piglet. Not because the authors are not talented, both obviously are, but because both books seem to contribute to feeding our addiction to sugar and fat. I am predictable and I always want to celebrate books and cooks that are helping people to fall in love again with fruits and vegetables. It will then come to no surprise that I hoped that Nigel Slater's wonderfully thoughtful Tender would make it to the end. Both books — Momofuku Milk Bar and The Art of Living According to Joe Beef — have forewords by my friend David Chang and I enjoyed the personal reflections on the characters behind the restaurants. Christina Tosi's introduction and personal story about how she came to Momofuku Milk Bar is refreshingly matter of fact, unaffected and concise. In her words you begin to get a sense of an organized mind at work, something that is reflected in the precision of her recipes. All pastry chefs have that same kind of focus but the truly clever ones are also creative, a quality that Christina has in abundance. Sadly, it is in the ingredients that Milk Bar really loses me — it seems that they don't have real ingredients in their pantry. I understand the creative appeal of turning something bad into something surprising but I can't support the choice of highly processed ingredients when fresh and organic ones are increasingly so readily available. Across the board the Milk Bar recipes are too rich, too sweet, and just too intense for me. The fact that "Crack Pie" is their most famous recipe is quite telling. When I first opened Joe Beef the page I landed on was Smoked Cheddar with doughnuts, an ominous sign. Many of the recipes in The Art of Living According to Joe Beef are heavy-handed and high in fat, but not all of them. As I leafed through the pages I came to be charmed by their story and the unconventional way the book is laid out. There is a sense of history to the book and their deep love of Montreal is evident throughout. There is richness in detail and usually a lovely idiosyncratic story for each recipe that makes the book as much of an engaging read as a straightforward cookbook. I loved the story of "Building a garden in a crack den" and the recipes that accompanied that chapter like Pickled Rhubarb, Carrots with Honey, and the lovely Herbes Salees. They speak with such affection about how they have replaced "pop cans, plastic bags, and cigarette butts that littered our yard with tomatoes, kale, and turnips." They say that building their garden was "not an environmental statement" but whether they want it to be or not, to me and I am sure to many who read this book, it is. Appropriately, the decision between who wins the Piglet award this year between Joe Beef and Milk Bar came back to crack, and ultimately, I would rather be building a garden from a den than to be an addict. It is my honor and pleasure to announce the winner of this year's Piglet is...The Art of Living According to Joe Beef. I agree-I am NOT inspired by Christina Tosi's recipes. I don't want to cook or add in processed foods/ingredients from my childhood. I have just watched her judge MasterChef Kids, and now a couple of others as she gains popularity. I don't see the attraction. WTG Joe Beef, totally visit this restaurant when you come to Montreal, quite an event in it's self! Stunning food, great decor and super service. Joe Beef himself would be VERY impressed! Google: "Joe Beef" a song by the East End Radicals here in Montreal, the story of his life is depicted in the song. Montreal rocks! No disrespect but I could not disagree more that nut brittle pie crusts, freeze-dried corn powder and crack pie are the "future" of cooking. The recipes in Milk Bar are off-putting in the extreme. In my opinion apart from health issues they are not even appetizing. Even the photos are nauseating. I am a young home cook and neither I nor my friends eat like this or care to eat like this, and my kids won't ever either (maybe hipsters with a bad hangover might). This cookbook is more like a regression to the fantasies of a sugar-addled 8-year-old than a picture of "where we are going." While you could interpret her cooking as "post-modernist" or "avant-garde" it is supposed to be food, and first and foremost food should be edible and appetizing. Where food fails to do this, technique and "innovation" can go to hell. Just because you can doesn't mean you should. As to Alice Waters' comments, she was asked to judge between these cookbooks and this entails giving her honest review of each book. What else would you honestly expect her to say? At least she was candid. The only pettiness I detected was inserting mention of her favorite (which she has blurbed all over the place) into a judgment that did not concern it. 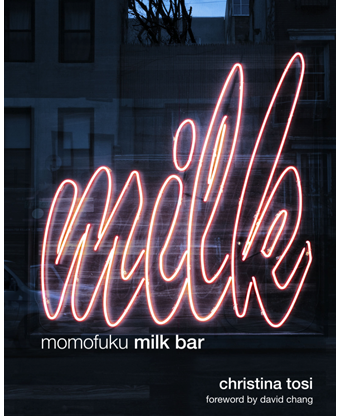 I haven't read or seen Momofuku milk bar cookbook but will certainly keep an eye opened for it. What I know is Joe Beef's cookbook and restaurant. I went through the book in a shop in Montreal and really liked the layout, the photos and the fact that there were stories explaining the context/philosophy of the two chefs. I have to say I was probably quite sold on Joe Beef's cookbook because of 2 absolutely wonderful and unforgettable evenings at the restaurant. Fred Morin even came to salute us. I could feel how much he cares about food, his restaurant, his people and his town. That love for Montreal was then confirmed in a recent interview he gave following the announcement of the prize winner. About Montreal, he said "It's important to us to get the message across to people in North America that Québec exists. That our francophone culture is an old one, and the history of dining in Montréal is very old and food is generally really important to the people of Québec City and Montreal. Dining in America I feel sometimes is not so old. Like dining in Las Vegas didn't exist really twenty years ago. Dining in the boroughs of New York City didn't really exist 25 years ago. Dining in Philadelphia is relatively new. Whereas French food in Montréal, in the old port, there are restaurants there that have going strong since the twenties or the thirties. We're just trying to communicate our love for French cooking in Montréal, somehow". I can't agree more. Vas-y Joe! While I find both poor choices among a bevy of new and interesting cookbooks I would certainly agree that Joe Beef provides the lesser of two evils. I'm an avid cookbook reader and primarily borrow from my local library. I have the Momofuku Milk Bar book on my counter now and honestly, the only recipe I could stomach trying was the cornflake chocolate chip marshmallow cookies. The name says it all and these were awful, albeit a good way to use up a box of cornflakes left here by an overnight guest and yuk, Milk Powder? It left me yearning for a green salad for dessert. Even with all that gooiness, my kids were not impressed. Pretty disappointing choice for a runner up. It is disheartening to see that it came down to the over-hyped superstars who need no help or support to continue their success. How about if next year you seek out people who are self-publishing either in .pdf format or in e-books? For my money and time, no one really needs to read anymore about David Chang and his empire or the Joe Beef boys. Food52 is becoming more and more like the Food Channel on a daily basis and it saddens, disturbs and even irks me to see the same old faces reviewing the books, writing the books and receiving all the accolades that they hardly need. There are enough "Good Old Boy networks in all our other walks of life and it is ironic and ugly to see in happening in the food world as well. Beef wins...Milk loses. Hmmm. Some kind of symbolism for a kinder and gentler world? Sorry the vegetarian in me couldn't help but comment. Nothing to do with cooking skills involved. Stictly the symbolic coincidence involving the names. I must say that what I admire most about Ms. Waters is her absolute uncompromising vision about everyone's right to eat good food. She is absolutely right in her concerns. People don't understand how far reaching the consequences are when children eat a steady diet of bad food. In addition to predisposing them to diabetes, obesity, heart disease, and other nutritionally related problems, it can actually interfere with their cognitive development. This is because the body uses fat from the diet to form the connections between brain cells, and the fat from fast food is so denatured and unlike anything from nature that the body can't manufacture what it needs with it. I wish people wouldn't criticize Ms. Waters as being elitist or out of touch. Health is dependent on the nutrition available from good food, and how we continue to produce and distribute the food we eat will determine the fate of the earth, for better or worse. By eating bad food we are poisoning our bodies, and by growing it irresponsibly and sending it thousands of miles away, we are poisoning the planet. We need people like Ms. Waters to wake us up and show us the way. Indeed, Witloof, I could not possibly agree with you more; from a completely subjective, personal standpoint, I count Ms. Waters as the single greatest influence on me --- the way I think about food and prepare it, and certainly how I think about it from a more political point of view. I worship Elizabeth David and Richard Olney and Judy Rogers and so many others, but no one has had the kind of impact on me that Ms. Waters has. From an objective point of view, I think she's done more for the way Americans think about food on the whole, than, perhaps, anyone else save Julia Child (at her time, and place). Still, given the Piglet as a competition involving many different kinds of books that might not, on the immediate face of it, appeal to Ms. Waters, I think her inclusion as judge was misguided: I'm a HUGE fan of Tender, and I don't go near much of the ingredients in the first place and second place books. That said, in the spirit of competition, the authors should be applauded for their success, as opposed to scolded. Perhaps that's not the way Ms. Waters intended her response to come off, but unfortunately, it did. That said, these comments take absolutely nothing away from who Ms Waters is, and what she's done. Agree that perhaps Alice Waters wasn't the right person to review these two cookbooks. There's no point in moaning over Alice's agenda--it was set years ago, and she's not about to change now. It's what makes her so admirable and at times annoying. I am surprised TENDER didn't go all the way. It's my choice of best cookbook of the year--a book to read and to cook from with appealing recipes, and a voice to inspire the cook. While I'm not at all surprised by Alice's issues --- who among us who know her work and what she stands for COULD be surprised --- what I'm saddened by is her verbalized disappointment at the outcome of the Piglet, which strikes me as being plain old bitter. I have a HUGE amount of respect for her that she stands, unwaveringly, by her principles, but perhaps the choice of Alice as judge for a list of books that included many very much NOT in tune with the CP aesthetic just wasn't the wisest of moves. Like them or don't like them, the finalists should have been applauded for their accomplishments, not the least of which is getting readers into the kitchen. And this day and age, that's no small potatoes. I'm not a huge Milk Bar fanatic, and while I eat meat, it's only infrequently. Still, I say ROCK ON, guys! And congratulations! What's missing from this discussion as well as Ms. Waters' consideration of Tosi's book is that Momofuku desserts are self-consciously postmodern in their approach: a mixture of "high" and "low" ingredients, an integration of mass-produced and processed food with organic and sustainable products, irony, whimsy and a playful attempt to disorient the eater's expectations of what dessert should be. Ms. Waters' approach is nothing like this (her keywords are sincerity, authenticity, simplicity, etc.) What's a shame in this review is that Waters implicitly attributes this difference to a lack of moral or culinary integrity on the part of Tosi rather than a difference in aesthetic or ideological methods. I think it's this collapse of the moral with the aesthetic that drives me crazy about Waters: as much as I appreciate her food and her contributions to the culinary landscape, I wish she would stop posing as moral crusader when it comes to recognizing and appreciating other chefs. Let's thank Alice Waters for a reasoned and thoughtful decision. I read every Piglet review this year, and found that personal philosophies dominated them all. Some reviews gave short shrift to a book, but I think if you look at the design of the Piglet, it's all about opinions. We're not electing a president here -- you can go out and buy any book you wish, and you will! Thank you for that, Antonia. (Love the quote too. Giggles on TJ.) Amanda, Merrill and I have such fun working on the Tournament, and we want to pass that (along with our love of cookbooks) on. With all due respect, what a very disappointing review. It might have been better to have her judge earlier on in the competition as well as have her test several recipes. No harm, no foul. But let's hope there's a lesson learned here. 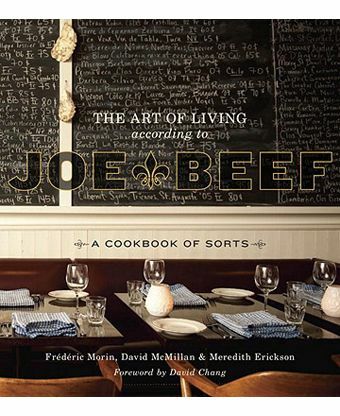 Alice Waters picking Joe Beef as the winner almost seems like a left-handed compliment - "this is the one I dislike less"....not to mention that I got the feeling in her reviews that she didn't even cook any recipes but only read the books. Yes she is a American culinary icon, but maybe the wrong person for this job. What a disappointing end to the wonderful Piglet Tournament of Cookbooks! You're from New York....Am I right? Reading the responses to Alice Waters' review is very interesting. I think the conflict derives from the criteria...for a cohesive 'contest,' the expectations need some consistency....or at least as much as possible, given the variety of judges/points of view. Perhaps Alice Waters isn't the most appropriate choice for the finale. Not to slight her - she's near goddess-like to me, and no doubt could make a persuasive case that her criteria ought be relevant to all culinary endeavors. However, it seemed rather out of context within this particular challenge. Had her standards informed the competition earlier on - rather than feeling like the rules suddenly changed - I think the response would have been better. Oh well....we're all on a learning curve here, and frankly, that's a big part of what makes this community so interesting and engaging. I learned much from reading the diverse reactions of Ms. Waters' review. Not being American/living in America (or Europe anymore...), the piglet's really educated me on what's new ont he block but also introduced me in some depth to the Judges and some of their 'iconic' attributes. Interesting to hear the conversation a la comments.....I did enjoy the piglet and though I cannot afford the space to buy yet another cookbook, I'll be browsing some bookstores in the future to see them up close and personal. i enjoyed the Piglet a lot this year and have ordered a few of the books myself (Momofuku Milk Bar and Super Natural). It seemed like an excellent group of books overall this year, many of which I would like to check out now. This morning I was wondering who would win, but then I remembered that Alice Waters was judging so I was pretty sure it would be Joe Beef. I figured a cookbook about super sweet desserts where glucose is a common ingredient wouldn't really rank high with her. 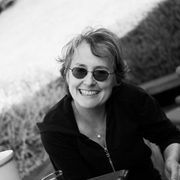 Alice Waters deserves a lot of credit for her historical contribution to the Bay Area, to the nation, and to our collective food culture -- and by historical, I mean in the past. But as this review now proves conclusively, Ms. Waters is nothing more than a one-note caricature at this point, and she has absolutely no business judging cookbooks by chefs who are extraordinarily creative, chefs who can intelligently employ sophisticated cooking techniques, and chefs who are trying to move beyond producing dishes that consist only of "fresh, organic, sustainably produced ingredients, simply prepared." It's little surprise to me that Ms. Waters didn't try to make any of the recipes in these books, as they are far more involved than simply tossing some pristine vegetables in some pristine olive oil. Don't get me wrong -- there is certainly a time and place to have spectacular ingredients that have been minimally manipulated, and Chez Panisse may still be doing a fine job in this regard. But that is NOT the be-all-and-end-all of cooking, it is NOT the only style of cuisine that one may want to experience forever more, and it is clearly NOT the aspiration of the two cookbooks that made it to the final round. For Ms. Waters to unbendingly bring her singular frame to this task and then forcibly apply it to cookbooks that strive to be so much more is, frankly, preposterous. It was a mistake to have her participate in this tournament as a judge.